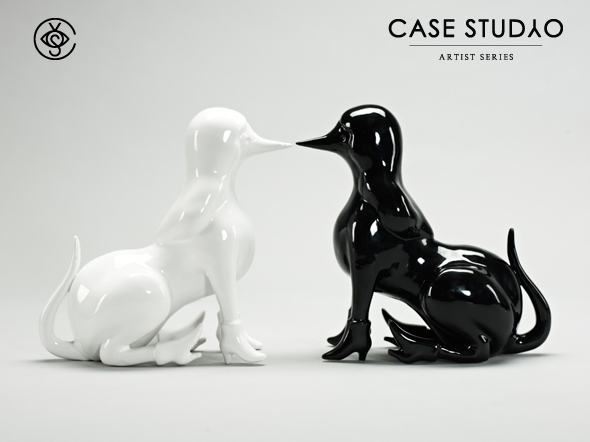 Case Studyo publishes “Lay Down – Lay it all down”, a new porcelain sculpture by dutch artist Parra. A new figure true to Parra’s world of hybrid, surreal characters. The title of the work is derived from the iconic song Lay Down 'from the 60's hippie era by' Melanie. The launch is in conjunction with his solo show “Tracy had a hard Sunday” which opens February 23 at Jonathan LeVine in New York where this sculpture will be on display. Size: H 21cm. x L 20cm. x W 10cm.